Cascade Engineering recognized for creating extraordinary positive impact as a business based on an independent, comprehensive assessment administered by the nonprofit B Lab. Cascade Engineering was recently recognized for creating extraordinary positive impact as a business based on an independent, comprehensive assessment administered by the nonprofit B Lab. Honorees are featured on B the Change, the digital medium publication produced by B Lab. 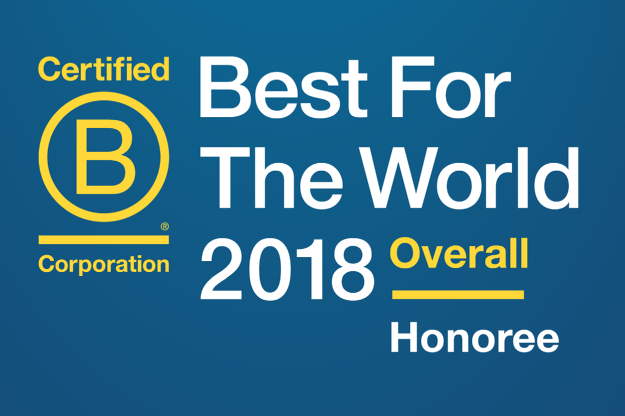 Cascade Engineering is honored in the Best for The World Overall list, which includes businesses that earned scores in the top 10 percent of more than 2,400 Certified B Corporations across all categories on the B Impact Assessment. The assessment measures a company's positive impact on its workers, community, customers and the environment. To certify as B Corporations, companies like Cascade Engineering must complete the full assessment and have their answers verified by B Lab. The full B Impact Assessment evaluates a company’s environmental performance, employee relationships, diversity, involvement in the local community, the impact a company’s product or service has on those it serves, and more. Honorees scoring in the top 10 percent of all B Corporations set a gold standard for companies using business as a force for good. Cascade Engineering made the list thanks to exceptional practices like their Welfare to Career and Returning Citizens programs. Fred Keller founder of Cascade Engineering stated, ”We have tremendous respect for B Lab and we are honored to be an overall honoree along with these like-minded organizations. Our goal has always been; to be good for our associates, good for our community, good for our customers and good for our stakeholders - socially, environmentally and financially”. Fifty-two countries are represented, including Denmark, India, South Africa and Taiwan. The selection criteria for Best for the World honorees are available at https://bit.ly/2IgAzF5.